SUMMARY: An easy hike to a beautiful waterfall and arch. 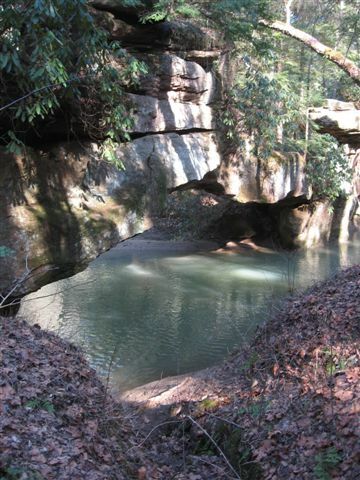 This is a very popular hike as it is one of the few arches in Red River Gorge passing over water. RATING: Easy Loop Hike (about 1.5 miles) Restrooms are available at trailhead. While this trail does have a descent a ascent it is pretty easy because it is mostly paved and steps are carved throughout the hike. 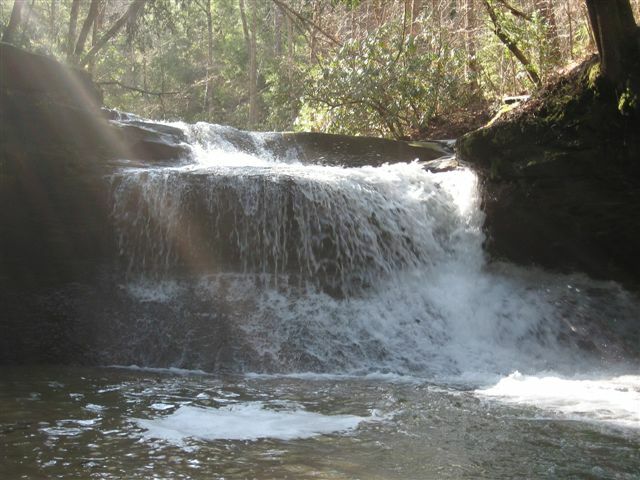 AMOUNT OF TIME NEEDED: Allow 1 to 2 hours (less than 2 hours) to enjoy this hike, and spend some time resting and enjoying both the waterfall and arch. Go to the end of the road and park in the Rock Bridge Picnic Area.